At least it’s someone I’ve heard of and have read . . . some. 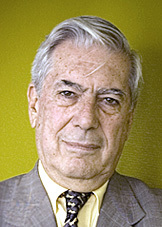 Read about the prize here: Vargas Llosa wins Nobel. And here’s the story in the New York Times.